We are pleased to present the official poster for the 145th Open Championship played at Royal Troon Golf Club in Scotland. 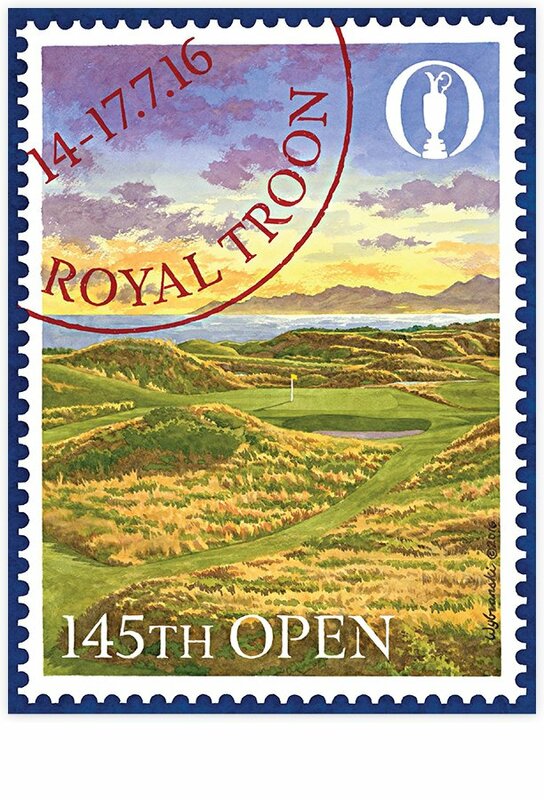 The poster features one of the most famous holes in golf, the 8th hole, often called “The Postage Stamp”. Limited Edition Giclee Print on canvas. 24″ x 32″ image printed with archival inks and signed and numbered by the artist. Edition of 18 prints.